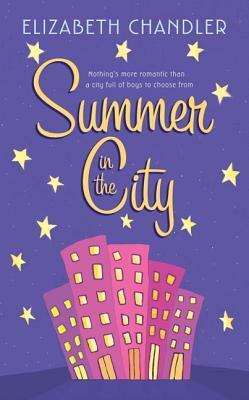 Summary (Provided by Goodreads): Athletic Jamie isn't sure about spending the summer in the city with her romance–novel–writing mum. But when she meets irresistible Josh, Jamie realizes she could probably use all the romance advice she can get! I think this book popped up as a recommendation when I got my Kindle or as a ebook deal somewhere. This was definitely a cover that caught my eye and that alone was the reason I checked it out. I hadn’t heard anything about this book but it sounded right up my ally! This book was so enjoyably and pleasant. Jamie is spending the summer before her freshman year of college in the city (Baltimore) with her romance novel writing mother. While she typically spends the summer in Michigan at the cabin with her high school football coach dad, he has a new girlfriend who he invited with and that is not Jamie’s scene. She signs up for a Lacrosse camp at the high school and ends up learning more about herself than the expected for the summer. While some of the parts of this story were a bit silly (why is an incoming college freshman with a basketball scholarship attending a high school Lacrosse camp when she has only ever played Lacrosse in her backyard with her dad), overall, I loved this story. Unlike Jamie’s mom’s romance novels, Jamie is not lucky in love. In fact, she’s a bit cynical when it comes to romance. The few relationships she had failed as a result of the boys only getting close to her to get close to her father. When she first spots Josh at Lacrosse camp, she writes him off as not her type since he’s just another jock. He also writes her off as being a bit cocky. In addition to the fun but feisty romance, the friendships are great. Jamie has both female and male friends and I loved that it showed the different types of friendship that a person can have. Her friendship with Mona is the perfect teenage girl friendship, but then her friendship with Ted is a great sports boy/girl friendship with no level of flirty attraction. The balance between the relationships was very enjoyable. There were also some pretty funny moment throughout the book. I can’t specifically pick one out (if you’ve read this blog for a while you’ll know I’m not really one for marking quotes) but this book was just pure fun all over. If you love books about sports with strong female characters and solid relationships you need to pick up this book. It’s a quick read that will make you have all the feels. Jamie is an independent woman and Josh is swoon worthy. It was the perfect summer read and I loved the slow burn of their romance. I highly recommend this book and I’m glad that I purchased it so that I can read it again in the future!